An attractive new smile with Gresham cosmetic dentistry can be life-changing. If you have gaps between your teeth, a cracked tooth or other cosmetic problems, Dr. Cooke can help. Ask us about veneers and teeth whitening and how we can maximize your dental insurance. We also provide dental implants. You deserve a sparkling, healthy new smile. Why not get started now? Call Gresham Dental Excellence at (503) 665-6166 or complete the online form to set up your appointment for Gresham cosmetic dentistry. 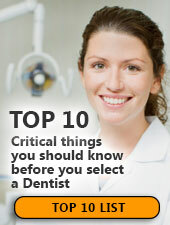 If you need to find a dentist contact us at (855) 317-9971 for a map, office hours and directions. We're looking forward to helping your learn about your options for affordable cosmetic dentistry.